A Father Remembers The Son He Lost To War Gordon Bolar knew he couldn't talk his son Matthew out of joining the military, because "he was a young man who knew what he wanted to do." So, Matthew "served his country, and that was his highest calling," and his father pays tribute to that every day. 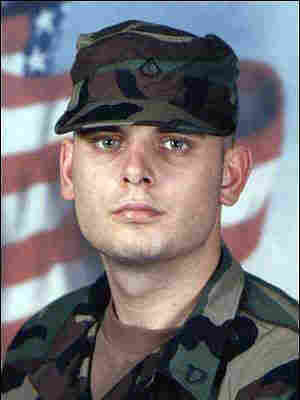 Matthew Bolar was killed on May 3, 2007, in Baghdad. StoryCorps founder Dave Isay spoke recently with Matthew's father, Gordon, who wanted to pay tribute to his son. Army Spc. Matthew Bolar was killed by a roadside bomb in Iraq five years ago. He was 24 years old. "He was a young man who knew what he wanted to do. And military service was the way that he chose to go," his father, Gordon Bolar, recently told his friend StoryCorps founder Dave Isay. Matthew served with the 1st Battalion, 501st Parachute Infantry Regiment, 4th Brigade Combat Team, 25th Infantry Division based at Joint Base Elmendorf-Richardson in Anchorage, Alaska. His first tour of duty was in Mosul. "I will not forget the day that he called me and he said, 'I had to bury my sergeant today. He was in his vehicle; he stuck his head out and then fell back. And we tried to revive him and we couldn't.' So he knew all about casualties in the field. He'd seen it right in his lap, and he chose to volunteer and go back for a second tour," said Gordon, who is also the general manager of public radio station WMUK in Kalamazoo, Mich.
"He called me about a week to 10 days before he was killed in action," Gordon continued. "He said, 'You know, I heard there was a shooting on a campus at a university in the United States. And that's all I know. And I know you work on a campus and just wanted to know that you were OK.' Now, of course I was fine, but here he is in a combat situation. He's calling to make sure I'm OK. That was the last phone conversation I ever had with him." Army Spc. 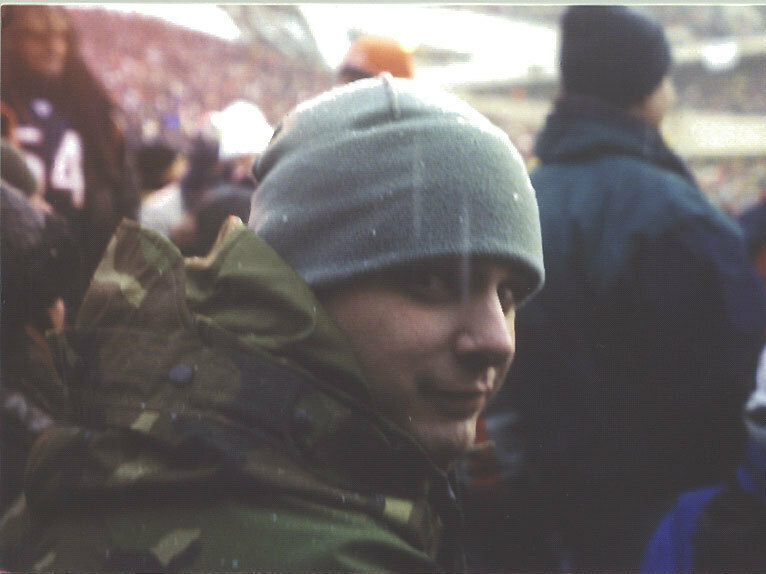 Matthew Bolar attended the NFL's NFC championship game in January 2007 with his father, Gordon. A few months later he was killed by an IED. Matthew was killed on a road south of Baghdad on May 3, 2007. "The next morning I went to the bedroom window, and I looked out. And I saw a uniformed Army sergeant and a uniformed chaplain standing on my doorstep," Gordon said. "And you tell yourself, maybe they're going to tell me he's wounded. But ... but you know." The hardest moment for Gordon after losing his son was at the funeral home. "Casket was open. He was whole. I touched his forehead knowing that we would close the lid and bury him the next day, in Arlington in section 60, and not see him again. That was tough," he said. But Gordon wants Matthew to be remembered as someone who cared about other people. "He cared about his family back home. And he served his country, and that was his highest calling. And he did it with honor. That's how I want him to be remembered." Audio produced for Morning Edition by Katie Simon. In December, StoryCorps will launch the Military Voices Initiative, highlighting the stories of veterans, active duty military and their families. Not sure how to take part in StoryCorps' National Day of Listening? Here's a guide to doing it yourself.